Women who innately appreciate that supporting other women reaps benefits for all are not as common as you'd expect. 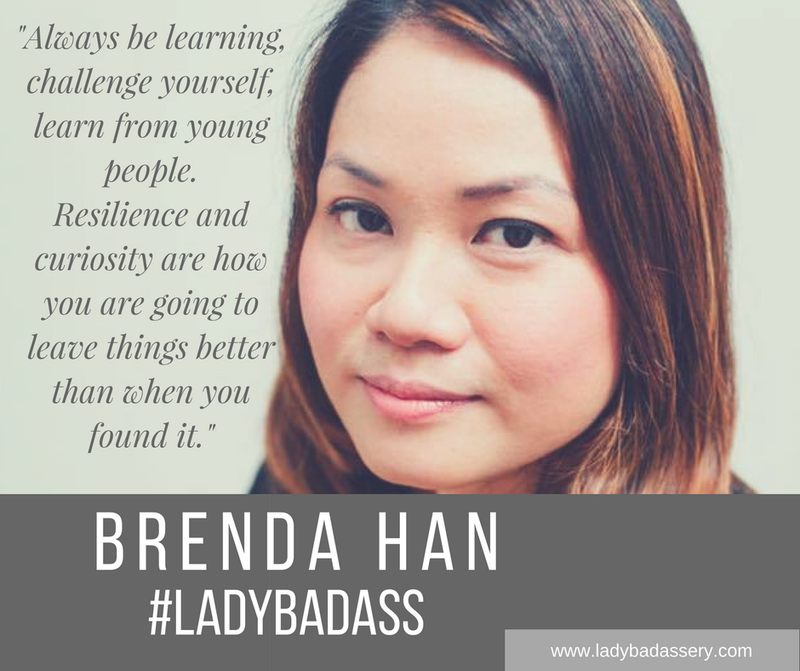 #Ladybadass Brenda Han has been supporting peers, colleagues and staff for years through various initiatives and by leading by example. A vocal advocate for change, Brenda is a shining light for those of us trying to believe we can have it all. #ladybadassery needs supporters like Brenda.